My favorite way to save, to keep my out of pocket cost down, so I can also not have to charge an arm and leg to my customers and still make a profit is to hit up AliExpress. I’m gonna give you a list of some of my favorite items to get from them, so I can save. Most items will take close to 20 days to arrive since they are coming from overseas, so do not expect a quick arrival, but as long as you are proactively ordering in advance, this should not be a problem. 10 LED Battery Power copper wire Fairy Lights – These are NEVER even over a $1 ea, and they are so darn pretty and bright. My favorites are either Warm White or White. If you order a max of 4 on this one you will not get charged shipping, over 4 is $1.47 shipping but then order basically as many as you want. Santa Sacks – I have not ordered these yet but at less than $6.50 ea I have put out a pre-order flyer on social media with an order cut off of Nov 10, that way it gives me time to get them here and still make the bags. 30 Meters of Natural Jute – This is 98 feet of jute for under a $1!! I just ordered some and so excited for finding it so affordable. 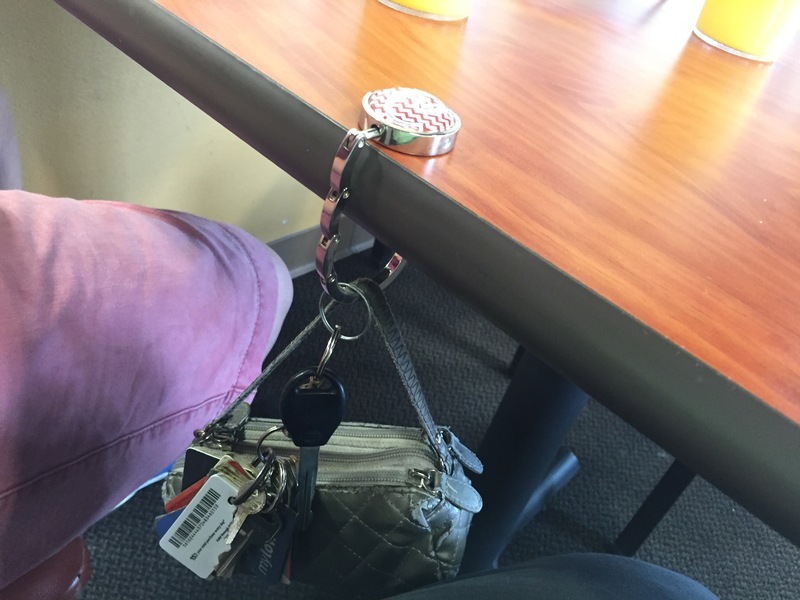 Foldable Handbag Table Hook – This is a pretty neat one I found and came up with the idea of offering customized ones of these. You can print out a 30 mm round design and cut it with your Cricut, however, they need to be cut on laser on glossy paper as I would not trust E6000 glue to not smear inkjet print. After you print the design you glue a 30 mm Cabochon over the design and you get a neat custom product. These come in a lot of 6 for a little over $1 so again super low cost. See Pictures to see what the finished product looks like.